A five year bright line test for residential property sales is now a reality but critics say it’s a capital gains tax by stealth. 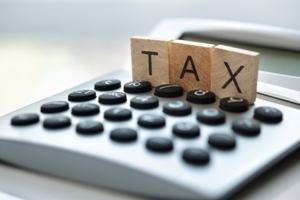 Tax legislation extending the current bright line test from two years to five has now passed its third reading in Parliament and is expected to be in force by the end of the month. The extension means that profits from residential properties which are bought and sold within five years will, generally, be taxable. However, the existing exemptions – which include the sale of an owner-occupier’s main home, inherited property, or the transfer of property in a relationship settlement – will remain. Revenue Minister Stuart Nash says the change will help dampen property speculation and make homes more affordable. “This proposal will ensure that residential property speculators pay income tax on their gains and makes property speculation less attractive. The legislation, which was fast-tracked through Parliament and passed by 63 votes to 57, was opposed by National and Act. It was the previous National-led government that first introduced the bright line test but the party’s finance spokesperson, Amy Adams, says the extension is a duplicitous way of introducing a capital gains tax. In her view, a two year period rather than a five year one is a better way to catch speculators because many people who are not speculators will buy and sell property in the course of the longer period. ACT leader David Seymour also says the extension of the bright line test means that New Zealand now has a capital gains test in all but name.